Guess what I saw Friday afternoon!?! 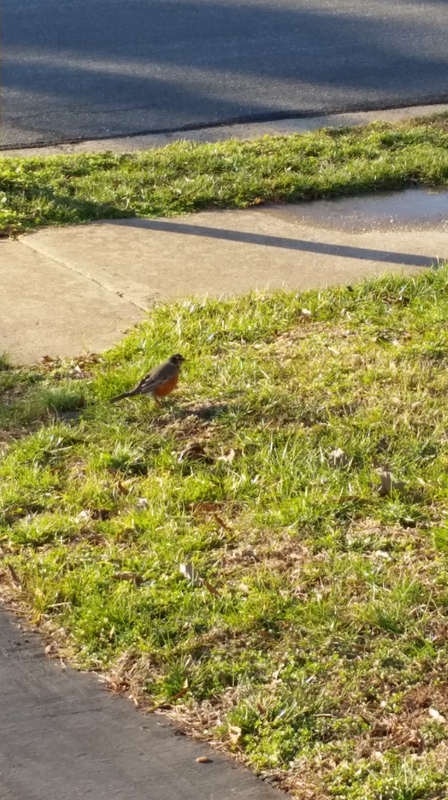 Robin birds in my front yard!! I was so excited I could hardly stand myself! 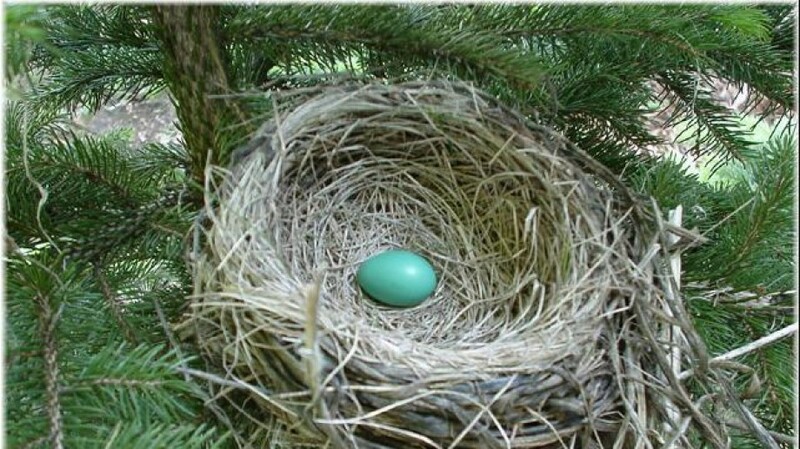 I wrote long ago of my love of Spring and the importance of seeing the first robin of Spring in Spring is springing!. Spring isn’t quite sprung around here, we’re expecting more snow this week. 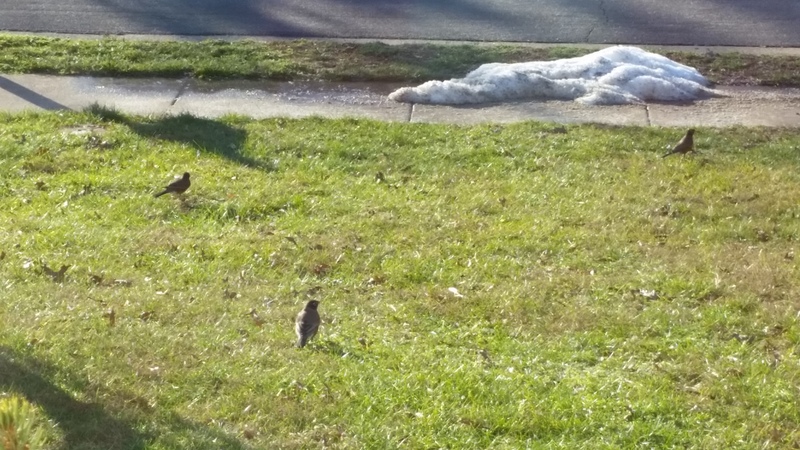 But these birdies don’t seem to care! They were frolicking all over the yard Friday afternoon! I went out to get the mail and this is the only bird that didn’t fly away when I opened the front door! I woke yesterday morning to the sound of their singing: Cheerily, cheer up, cheer up, cheerily, cheer up. Even with more snow on the way, these robins are here. And with them, the promise of spring! I am one happy Robynbird! It’s funny though, right after that it got really cold here again and I’ve not seen them at all. My mom always made such a big deal about robin birds and how special they are and how they have the same name as (us) me and they’re red like me (my hair) too. So they’re not just heralds of spring, they’re possibly my “spirit animal”.